Search Engine Optimization (SEO) is the process of optimizing your website and content so that search engines like Google will return the site or page as a top result for the keyword searched. In English broken down further – We help make your website appear in Google for any keyword that someone searches. How do we do this? Keep reading below or contact us today. Keyword research – It is arguably the single most important step to make sure that your search engine optimization (SEO) campaign brings you a return on your investment. 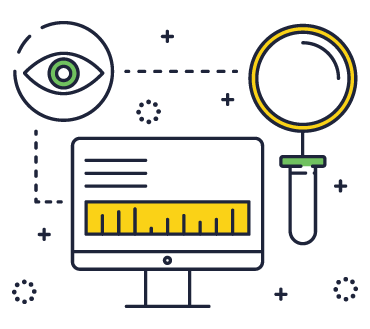 We perform a full audit and detailed keyword analysis of your website, competitors website and top search terms even before a single piece of content is written, a single piece of code is externalized, or a single backlink is obtained. After this 1st step we break down SEO into a few categories: On-Page and Off-Page as well as the types of strategy and tactics used when performing an SEO campaign – White Hat, Gray Hat and Black Hat. We at Ad Kings only use White Hat techniques and specialize in removing Gray or Black hat penalties from websites such as a Penguin Penalty or Panda Penalties. For this purpose we will focus only on the Google suggested best practices and White Hat techniques/strategies. On-Page Search Engine Optimization consists of Google’s ranking factors that they determine by examining a website or page. This would include but not limited to the type of content, headlines, images, page structure and meta content. Off-Page Search Engine Optimization consists of Google’s ranking factors that are not on a website but relate to it such as backlinks, blogs, videos, PR and other forms of media that help the search engine determine the websites value.